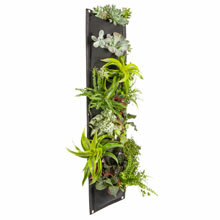 This wall planter is ideal for gardens large and small. 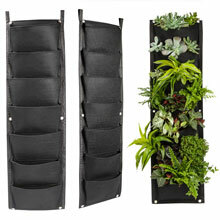 They are perfect for apartments, balconies, patios, terraces, schoolyards and rooftop gardens. 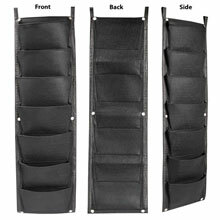 The cleaver pockets retain enough moisture to keep the soil moist but are permeable enough to allow for drainage. 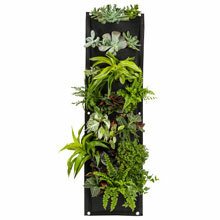 This wall planter is ideal for plants, flowers, herbs, succulent and small vegetables. 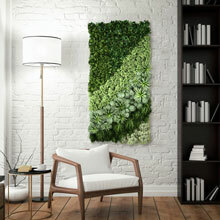 A unique way to turn any unused or unattractive area into a vibrant, colorful and lush vertical garden. 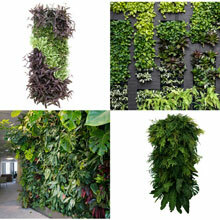 Use several to create a whole garden wall or use individually to add an accent to any area. Imported. 11&34" wide, 39" long. 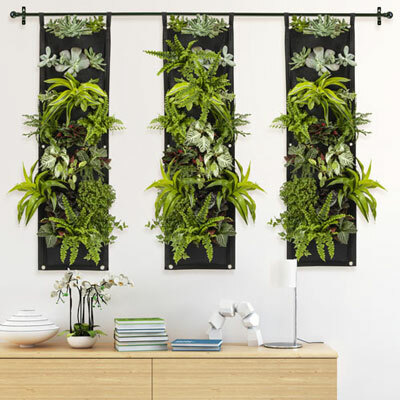 •BEAUTIFUL DESIGN: Turn and unused or ugly wall into a lush flower garden, perfect for yards, fences, apartments, balconies, patios, schoolyards, rooftop gardens or porches. •EASY TO USE: The metal eyelets/grommets make hanging your vertical garden planter quick and easy- and flexible, they make it easy to reorganize your plant wall anytime you want to change up your patio's look, or use the top tab hangers to suspend this unique wall planter from a pole or fence. 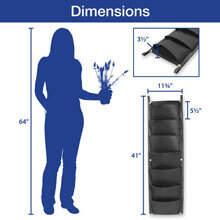 •DURABLE AND ECO-FRIENDLY: Non-toxic super strong yet soft felt pockets are rugged, self-absorbing, corrosive-resistant, breathable and more. The pockets retain enough moisture to keep soil moist for longer while being permeable enough to allow proper drainage to avoid water stagnation and to keep your plants healthy. 11¾" wide, 39" long. 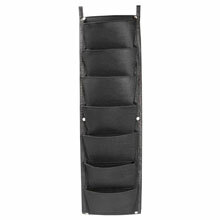 •MULTI PURPOSE: Not only a way to brighten your walls and fences with greenery, flowers, herbs and vegetables, this also can be used as a big organizer pocket, perfect for storing school supplies, office papers, mail and anything else you need to keep at arm's reach. •GREAT FOR: The deck, patio, porch, yard, fence and more, makes a wonderful accent wall, add a lush, vibrant garden to any wall or surface.